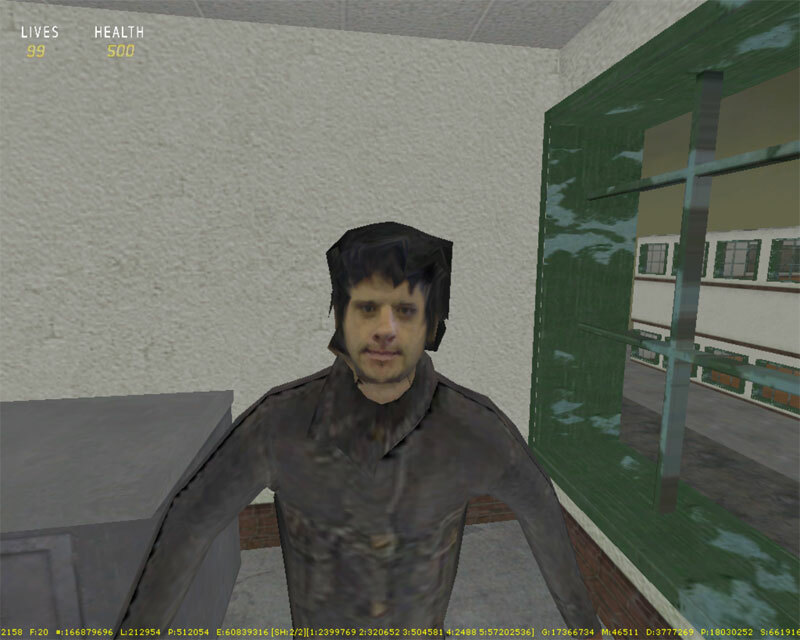 It’s a little odd seeing yourself in a game as a 3D character. Our resident graphic designer and 3D champ Bec has been busily working away on the models of the team for the CEE project (happy Len?) and here’s me. It uses the .x format (which ties in to Microsoft’s Direct X) and uses a .dds file for the texture. It’s set in FPS Creator. Bec used a nifty shareware app called Milkshape to create the model. 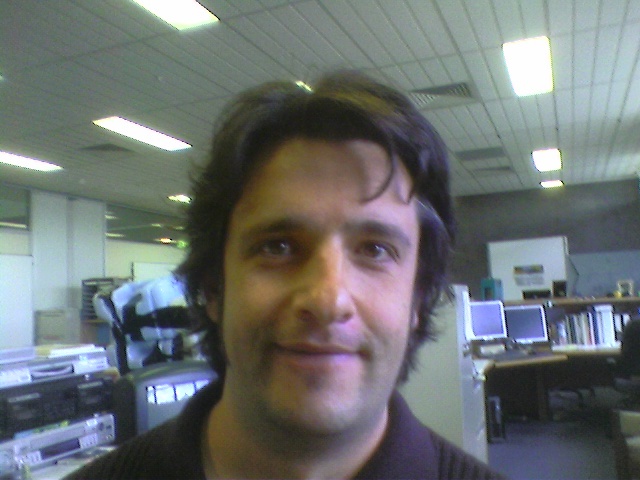 For the sake of comparison, this is a pic of me taken a little while back. 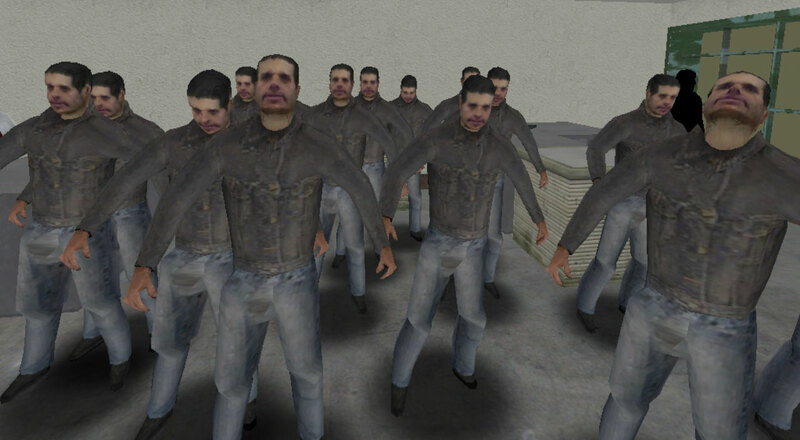 An earlier 3D version made more use of the existing character’s hair and made me look somewhat creepier – so it seemed only right to create a clone army of myself at the time. This entry was posted in game design, Uncategorized and tagged 3d model, game design. Bookmark the permalink. Interesting article – thanks Len. Scott McCloud makes some similar points in Understanding Comics about the way that we tend to fill in the gaps with characters and their humanity and relatability – it does make you wonder about trying too hard for realism. You’ve also reminded me about the awesome Understanding Games series of games – more on this soon.